Product B IsaGenesis is a powerful blend of complex botanicals and vitamins uniquely designed to offer superior telomere support for youthful aging. Dr Cousens refers to it as "a Brilliant product" that he haven't seen anything like it in his 40 years of clinical experience. Super Nano-Green Tea ND, 8 fl. oz. Poptosin - Resveratrol Supplement, 8 fl. oz. Milk thistle (Silybum marianum) seed extract, flax (Linum usitatissimum) seed oil, phosphatidylcholine, turmeric (Curcuma longa) root extract, green tea (Camellia sinensis) leaf extract, giant knotweed (Polygonum cuspidatum) root extract, horny goat weed (Epimedium sagittatum) herb top extract, pomegranate (Punica granatum) fruit extract, ashwagandha (Withania somnifera) root extract, grape (Vitis vinifera) seed extract, boswellia (Boswellia serrata) gum resin extract, blueberry (Vaccinium angustifolium) fruit extract, N-acetyl-L-cysteine, bilberry (Vaccinium myrtillus) fruit extract, R-alpha lipoic acid, L-glutathione, Asian ginseng (Panax ginseng) root extract, bacopa (Bacopa monnieri) whole plant extract, raspberry (Rubus idaeus) fruit extract, canola lecithin, harada (Terminalia chebula) fruit extract, quercetin dihydrate, velvet bean (Mucuna pruriens) seed extract, maca (Lepidium meyenii) root extract, goldthread (Coptis chinensis) root extract, shilajit extract, acacia-thorn mimosa (Acacia nilotica) bark extract, black tea (Camellia sinensis) leaf extract, white tea (C. sinensis) leaf extract, proprietary carotenoid blend (lutein, lycopene, zeaxanthin, alpha carotene). Extra virgin olive oil, starch, extra virgin coconut oil, seaweed isolate, glycerin (vegetable), purified water, sorbitol, silicon dioxide, natural color (lycopene, caramel brown sugar). The New and Improved Product B IsaGenesis is based on scientific breakthroughs in telomere support and the benefits of antioxidants in youthful aging. It’s full spectrum of natural bioactive antioxidants helps fight the effects of free radicals and oxidative stress, which can accelerate aging and contribute to poor health. The new Product B IsaGenesis features improved absorbability so that your body can effectively use the nutrients for superior antioxidant and telomere support in cells where they’re needed. To grasp the power of Product B IsaGenesis, it’s important to understand telomeres, the very element Product B IsaGenesis aims to support. Telomeres are the protective caps at the ends of our cells’ chromosomes. They protect our DNA from damage like the caps on shoelaces protect the laces from unraveling. As we age, our cells are constantly dividing and our telomeres shorten during the process. Oxidative stress, toxins and a poor diet can cause the process of telomere shortening to speed up, which means we age faster in life. And the faster we age, the sooner we face age-related health conditions down the road. Product B IsaGenesis aims to help telomeres do what they do best—protect your DNA, your cells and help you age healthily. When your telomeres and Product B come together, it’s a beautiful thing. And the benefits of that union mean you can enjoy a healthier, more youthful life. The latest formulation of Product B is so improved, we gave it a new name—Product B IsaGenesis—and it’s scientifically designed to deliver the benefits of Product B you know and love from the previous version in a more powerful, effective way. Product B IsaGenesis features improved absorbability so that your body can effectively use the nutrients for superior antioxidant and telomere support in cells where they're needed. he science behind Product B goes beyond the symptoms of aging to target the ultimate source of aging. The latest research suggests quality of life can be a direct result of cellular performance, and more specifically, the role of telomeres in cellular aging and health. Product B was not designed to be a stand-alone product. For best results, we recommend taking Product B as part of an overall system to support better health and youthful aging. In my forty years of clinical experience, working with a variety of products, nutraceuticals, supplements, herbs, and a variety of technologies, I have never seen or experienced anything like Product B. It appears to be truly the breakthrough into a new era. Research has been done throughout the world for centuries to find the secret of youth. Product B represents what may be that secret to youth. I like to call it Product Brilliant. To truly understand what I am talking about I need to refer to the research that has been done on telomeres. Maria A. Blasco, director of the Telomere and Telomerase Research Group at the Centra Nacional de Investigaciones Oncologicas, in essence says it bluntly, "Human beings born with shorter telomeres due to telomere mutations live shorter lives." This is the condition in the world today because of external environmental conditions, lifestyles, and diet. The lifestyle I promote slows telomere shortening. This lifestyle includes eating a low-glycemic, 80-100% live-food, plant-source diet; meditation; time in nature; being in loving relationships; and living productively and fastidiously. These lifestyle practices do not, however, reverse telomere shortening, but by slowing the shortening we are able to prolong longer qualities of extraordinary, enduring, radiant health. 1. Increased clarity and brain power, cognition and memory, better mental focus, and increased inner peace. 2. Increased endurance, energy, and strength, with some claiming up to 25% more. 3. Major relief from chronic pain and inflammation and joint pain, which seems quite dramatic. 4. Skin changes, including the reversal of liver spots on the hands. 5. Hair and nail growth, with some accounts of hair darkening. 6. Reversal of Alzheimer's disease symptoms. 8. Consistent pattern of reduced blood sugars toward normal. 9. A consistent improvement in the depth and quality of sleep. As I grasp the meaning of this, I am seeing some correlations between the improvements brought on by Product B and the ancient Chinese medical quest for ways to strengthen pre-natal jing. With proper lifestyle and live-food diet, people may repair and strengthen post-natal jing. I believe that Product B may be able to consistently build pre-natal jing. Up until now, this is unheard of except in very rare cases. For unique spiritual individuals with strong meditative abilities one may undergo certain disciplines that can stop aging or reverse aging. This is not available to laypeople, but, yes, this can be accomplished. People have been reported to grow new teeth, new hair, and regenerate. The point is that it can be done. One can rebuild the prenatal jing. 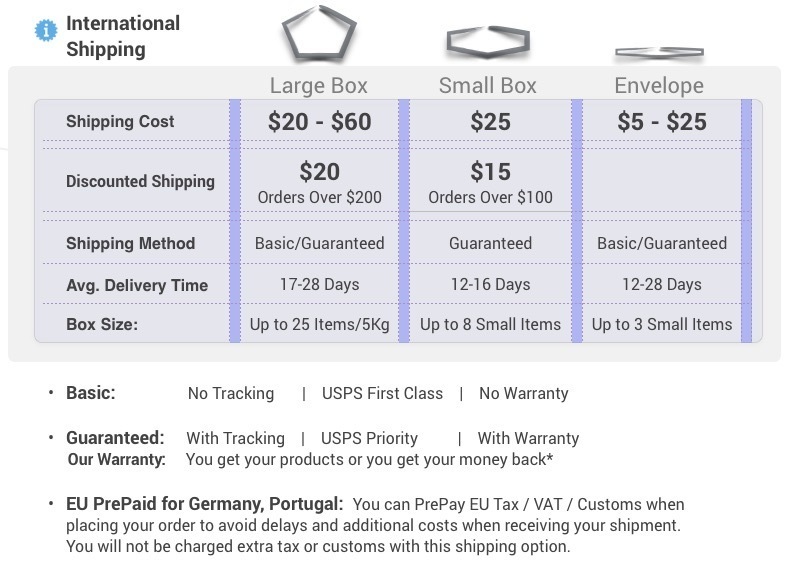 With Product B it may now be available to common people on a mass level. This sets the stage for an epic transformation in our society. One serving of Product B IsaGenesis consists of two softgels. 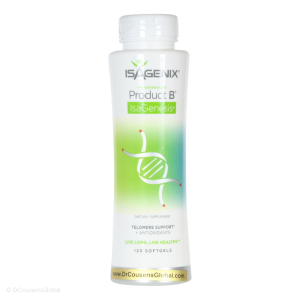 Adults 18+ using Product B IsaGenesis should take 2 servings daily; once in the morning with breakfast, and once at lunch or in the evening with dinner, depending on personal preference.